Darren Plumridge Professional Driveway & Patio Construction was established in 1984. We employ a skilled workforce of 8 staff, that carry out all tasks from concept to completion which includes excavation to building ornamental and structural retaining walls. All the staff work together to provide you the customer with an exceptional quality installation that will last and mature over the years. We only use quality materials to suit all types of properties, from quality concrete products to natural stone, with our designs each product creates its own unique appearance dependent on the type of property and of course the price. To give customers peace of mind no payment is made until job completion and client approval. 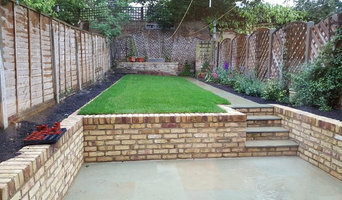 Groundteam was started in 2005 by founder Rene Hynek who works with a team of specialists to deliver landscape gardening projects across London. We have an experienced team of landscape gardeners that work confidently with all types of hard and soft garden landscaping. Our team are fully insured for public liability offering peace of mind that you are dealing with a reputable and trustworthy organisation. 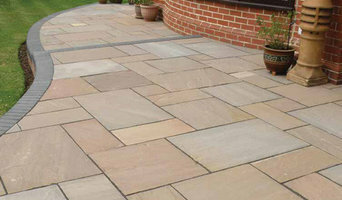 Wilson Paving and Landscaping are a well-established company working throughout the London Area. If you're looking for a new driveway we can offer: -Block paved driveways and paved patio area -Paved driveway or paved path -Patio Areas -Gravel Drives -Imprint concrete driveways -Landscaping Services -Slabs -Powewashing Services -Driveway Repairs -Tarmac Red or Black -Concrete -Decorative Edges Offering you a wide range of paving products including, cobbled edges and bespoke designs. All work carried out by Wilson Paving and Landscaping are guaranteed to ensure customer satisfaction. Every driveway/patio is bespoke and created around the customer’s requirements and design ideas.Take a look at our gallery to see our latest work. We offer FREE estimates so please get in touch today. .
How Terrazza driveways was born .. Many years ago I had a drive laid down in concrete blocks and I was excited at the time and wanted something a little bit different as my expertise is in design. I had a particular pattern in mind which was realised , all the blocks were laid down in the traditional way with the MOT aggregates and compacted, with the usual top layer off kiln dried sand. To my horror after 6 months of driving on and off the drive I noticed there was movement and beyond that the concrete colours were fading away and moss was building up . I decided to have all the blocks removed and relaid with another company and again not only was there movement even after a membrane was laid down moss and plants started growing through the joints. At this point I was really tired of calling different experts and I understood it would never work properly for me. I decided to form a partnership with a very good building contractor as i’m a native italian I love detail and design and I will never settle until I have what I want ! I found an italian quarry that can supply to my design and specifications including on various thicknesses of tile depending on base requirement . I Finally achieved far beyond my expectations , so much so that from the day the drive had been completed I had many locals asking me who carried out the work , I had lights put in the drive and now the natural slate is absolutely beautiful , even when it rains and it’s like walking on a piece of art that been there for 100’s of years , as its so original there are many patterns and different types of natural stone marble or granite to choose from , but one thing you can be certain of Is the drive we will provide you with will not only be an investment , but it will look the same as the day it was laid down for many years to come . Diamond Driveways is a family-run business with over 35 years combined experience in supplying and fitting driveways, patios and much more. 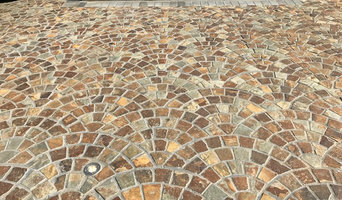 Specialists in resin, natural stone, block paving, gravel, granite, tarmac and clay pavers, we pride ourselves on being the leading professionals for driveways and patios in London, Essex and the South East. Why Choose Us? We’re proud members of Interlay; setting the industry standards for driveway excellence and approved installers for both Brett & Ronacrete products. We’ve Got You Covered – All our paving products are backed by a 10-year product warranty and a 5-Year workmanship guarantee; offering peace of mind with your purchase. Customer Satisfaction & Loyalty Is Our Goal – We’re delighted to have worked with over 300 satisfied customers who have posted positive reviews. Our driveway and patio specialists are friendly, experienced and take pride in what they do. We offer a no-obligation estimate service at competitive prices, so please contact us to help give your home kerb appeal today. These days, your options for driveway materials will dazzle you. And maybe confuse you. Tarmac? Concrete? Stamped concrete? Concrete pavers? Marble or travertine? That’s right — we said marble for your driveway. Driveway materials have come a long way since your grandparent’s car crunched up and down their gravel drive. Innovations in technology have created textures and vibrant colors like never before without sacrificing the sturdy qualities you need in your hard-working driveway. 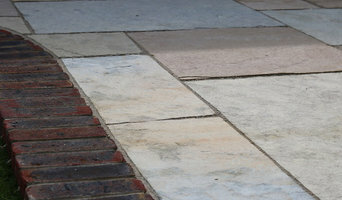 Why should I hire Ashtead, Surrey driveway pavers? For those building a new home from scratch or completely renovating a house, sorting out the driveway and paving around the exterior of the house is usually something that comes as an afterthought, or at least left until the main living areas areas of your home are sorted. However, it’s always a good idea to talk to professional Ashtead, Surrey driveway pavers at an earlier stage because they can work in tandem with any other exterior contractors working on the job to create driveway solutions that work with the rest of your house. The driveway construction may not be able to happen until after other contractors have finished, but the space will be ready for the paving or laying of the driveway. Here are some related professionals and vendors to complement the work of driveways: Stone, Paving & Concrete, Main Contractors, Landscape Contractors, Cladding & Exterior Contractors. Find a driveway pavers on Houzz. 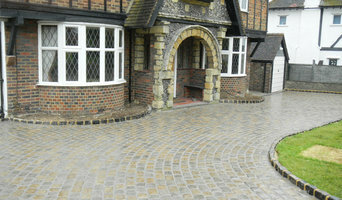 Narrow your search in the Professionals section of the website to Ashtead, Surrey driveways and paving. You may also look through Ashtead, Surrey photos to find examples of driveway solutions and paving that you like, then contact the driveway pavers or contractors who worked on them.